With styling based on Barbour's iconic Beadnell, the Bower Wax Jacket offers excellent protection for the winter months. 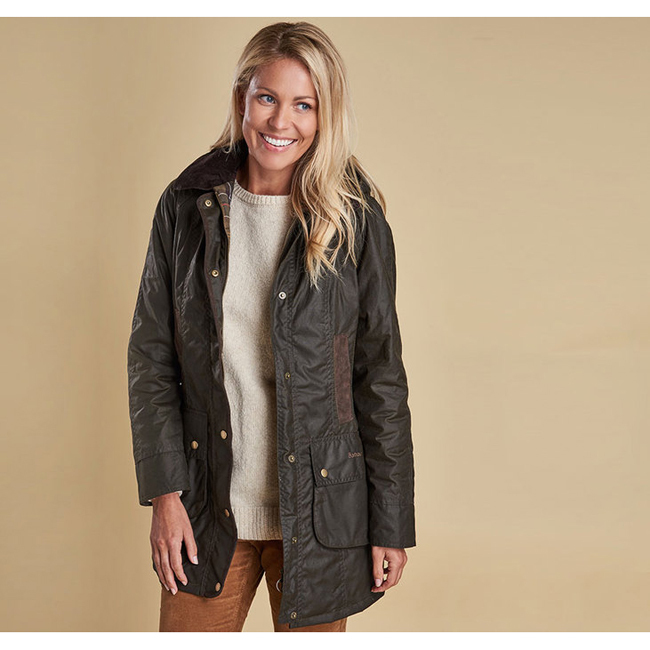 This robust women's wax jacket is made with a traditional Sylkoil waxed cotton outer and lined in Barbour's signature tartan. The classic Beadnell look is created by the sit-down corduroy collar, zip- and snap-close front and two lower bellows pockets, while the addition of a detachable hood adds extra winter practicality. Suede handwarmer pockets with moleskin pocket bags are must-have for cold days. This is such a great fleece. I've always wanted one and this one was just calling my name. Thank you! !